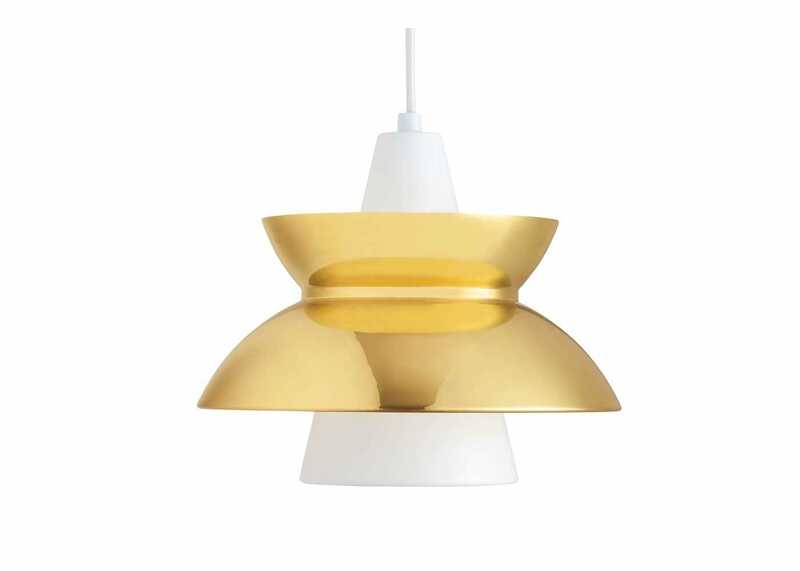 Originally designed in the 1950s by Louis Poulsen in collaboration with the Navy Buildings Department, the Doo Wop Pendant Light has been redesigned in metallic finishes. 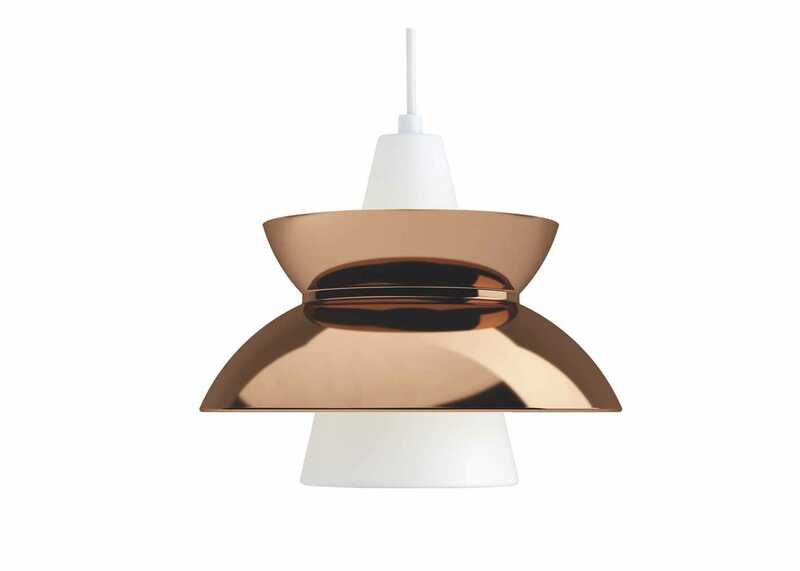 The Doo Wop pendant features an instantly recognisable design, with an outer reflector which acts as the main shade and contributes to directing light upwards and downwards whilst spreading soft diffused light. 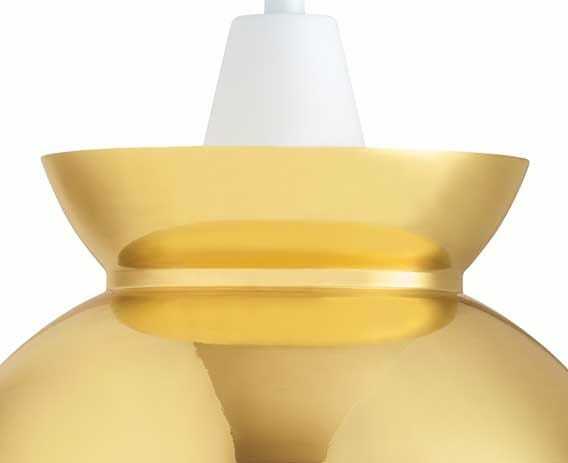 When on the inside of the main shade is illuminated through an opening in the inner conical reflector creating a soft glow. Each shade is turned by hand and finished with a slight arch at the end, offering volume to it. 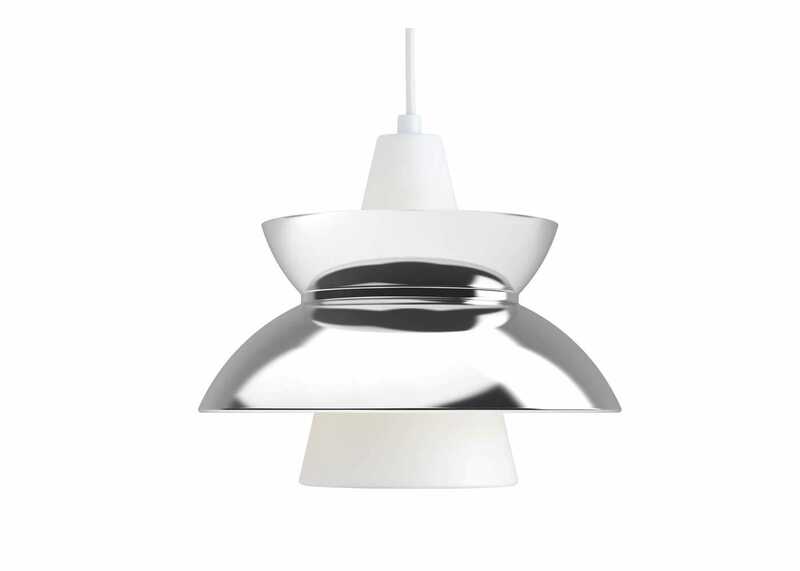 Outer reflector directs light upwards and downwards, spreading a soft diffused light. Ideal for hanging in a cluster over counter tops or dining tables. The outer reflector directs and diffuses the light.